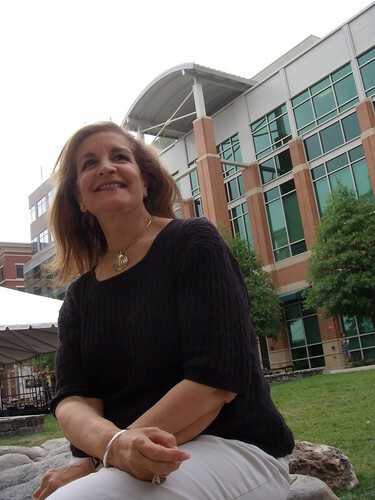 1) Unofficial "mayor of Silver Spring" Susan Hoffmann (above) lost her bid for re-election as official Mayor of Rockville to seventy-four-year-old Phyllis Marcuccio by just four hundred votes. Hoffmann won her first term in the 2007 Rockville mayoral race, which Just Up The Pike covered (despite our motto being "Columbia Pike, not the one in Rockville") if only so I could search the bowels of Rockville Town Square looking for a security guard. 2) MoCo's political class is mourning the deaths of Planning Board commissioner and former state delegate from Potomac Jean Cryor, who passed away last night after a long battle with cancer, and Col. Todd Hixson, son of current State Del. Sheila Hixson, who "died unexpectedly" Sunday afternoon. Del. Hixson represents District 20, roughly defined as all of Silver Spring below Randolph Road. Our condolences go out to both families. 3) And of course Robert McDonnell is the new governor of Virginia the massive computer that controls stoplights in Montgomery County went down last night, which explains why your commute (if your commute is like mine) involved a fifteen-minute slog passing Wheaton High School on Randolph Road. If you don't have a job, pat yourself on the back for not being caught in the melee and go back to sleep. Our condolences and respects are definitely due over the passing of the Right Honorable and most excellent Ms Cryor. Her passing is also the passing of an era. It's almost impossible to imagine that we shall soon see anyone of her caliber, character, career, and contributions to again grace Montgomery with such talent, skill, drive, competence, and dedication. I must of course recommend that all Planning Board decision making should be put on hold until her position is again filled, as if anyone could possibly replace her. Our hearts go out to her friends and family and all of the other people to whose lives she had such great import.